For over 125 Christmases the Guardian Angels Parish family has hastened with gratitude and praise to the manger of Bethlehem. With shepherds and magi, we gaze in awe, and open our hearts. At Bethlehem, there is hope, a child’s destiny to redeem all! There is peace, angels’ songs of peace for all humanity! There is love, God’s unbounded love for us! 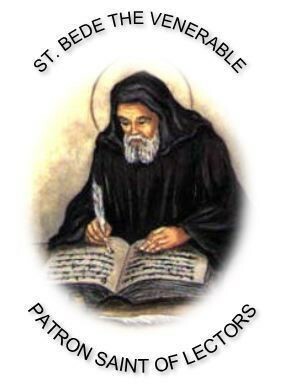 At Guardian Angels we thank you for your kind cooperation in all our parish activities, and your loyalty and generosity in supporting our parish and its ministries. May God bless you for your graciousness and goodwill. A Blessed and Happy Christmas and New Year! May God bless our world with His peace, our nation with unity, your families with His hope, and your hearts with His love! In October 2017, Guardian Angels Parish’s Q-Group began meeting regularly to discuss developing a vision for the future of the Parish. GA solicited for parish members to apply to this group; parishioners who were driven to move our parish forward and create growth within our GA community. Members were chosen so a diverse group of parishioners were represented including: longtime parishioners, new parishioners, school families, and non- school families. The Q Group’s work is conducting its research independently from the Parish Pastoral Council – in an effort to be as objective as possible. The Q-Group is asked to deliver its recommendations to PPC by the Summer of 2019; PPC will then use this input to inform the strategic plans of its operating committees. As part of the Q-Group's research, the committee conducted a survey of the parish in early 2018. This survey was intended to help the Q-Group understand the current landscape through the eyes of the Guardian Angels community, and is one element of the group’s research. We were very encouraged that 320 parishioners responded to the survey, providing a rich level of input to the process. The survey results will be released in the parish bulletin next weekend. We would like to thank all of the GA parishioners for their personal engagement in this process. The Q Group posts minutes from its meetings on the parish website to keep parishioners informed about the committee's progress. Survey results will be posted on the Q Group's page of the parish website after they are published in the bulletin. Would you like to proclaim the Word of God at Mass? Substitute lectors are needed for this very special ministry. Any Confirmed practicing Catholic, over the age of 16, is invited to volunteer. Substitute lectors are on an “on-call” basis and will cover reading duties for regular lectors who may be ill, or out of town. If you are interested in volunteering as a lector sub, or volunteering for any of the other Masses, please contact Joan Schoenhoeft. mercy. Soup will be served at 6:00pm with the presentation starting at 7:00pm. A flyer for the event is attached . Is Your Advent Wreath Ready? Click here for the Blessing of an Advent Wreath. AngelsFest is right around the corner and the Bid and Buy Committee needs you! This year, we will be presenting a Basket Bonanza (drop a raffle ticket in for the basket you like) as well as a Silent Auction. If you would like to be part of the planning committee, please email Kay Froehlich. She can also be reached at 513-624-3146. We need volunteers to solicit donations, organize and assemble basket items, work the tent the nights of the festival, and lots more! Our work will begin after the holidays! As you are shopping the good deals over the holiday season (and after Christmas sales! ), please consider picking up an item or two for the festival. You will be welcome to create your own basket or add to one of ours. A few basket themes we are collecting for now include Christmas in June (Christmas items), Just What I've BEAN Wanting (coffee), Hot off the Grill (grilling), The Cat's Meow/It's a Dog's Day (pets), and Taste of the Town (restaurant gift cards) We will happily begin accepting your donations in January. Lots of new ideas are being planned for the Bid and Buy committee, so join in on the fun! Online Giving is now available for Guardian Angels parishioners as an easy and convenient way to save time and support the church. Donating is simple, safe, and completely secure. On the parish website, you can now set up a recurring weekly or monthly transaction using your checking, savings, or credit card account. You can decide how much to give to any collection and make changes any time, day or night. If you would like to enroll in Online Giving, please visit the parish website . If you have any questions or concerns about the program or would like help setting up your account, please email Jamie Wilmers or call her at 513-624-2200 . Knowing that summer scheduling happens early, we hope that you and your child will discuss participating in our next Camp Gaudeo (for those currently in grades 5-8). The 2019 camp will continue an excellent parish tradition that blends fun and faith for a week in June – past camps have incorporated over 100 campers and dozens of high school volunteers! Feel free to visit the Camp Gaudeo Activity Page on our parish website to see pictures from past years of camp. Adults or high school students interested in volunteering may contact the Youth Ministry Office via youth@gaparish.org. Guardian Angels Parish is a registered participant in the AmazonSmile Program . You can sign-up to have a portion of your purchase sales come back to Guardian Angels. When you make purchases through the AmazonSmile page, and have GA selected as your beneficiary, the AmazonSmile Foundation will donate 0.5% of the purchase price of eligible products back to GA. You have to be shopping from smile.amazon.com page of the site for us to receive the benefit. We hold three types of events each year to introduce families to Guardian Angels School. All three offer a different insight so feel free to attend all of them, or choose the one that fits your needs. Our Open House is scheduled for January 27th from 1:00-3:00pm. This is a great opportunity to meet other GA families and teachers, talk with administrators and help us kick off Catholic Schools Week. 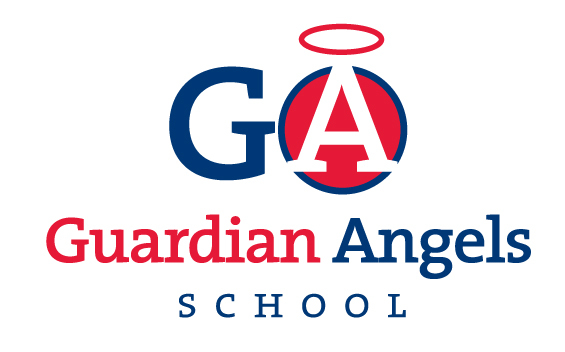 You are always welcome to call and schedule a personal tour of Guardian Angels School. You will meet with our administration to discuss the classes and programs available through GA and have the opportunity to ask any questions you may have. These are typically done during school hours so you can see what a typical day is like for students. Call the school office at (513)624-3141 to schedule a tour. Our Informational Coffee events provide parents an opportunity to see classes in session but also talk with other current GA parents about their experience here at Guardian Angels School. We hold one of these events in the Fall and one in the Spring. Our next coffee is scheduled for Tuesday, February 26th at 9:00am. If you'd like to attend this event, please RSVP to Tiffany Strah . PTA maintains a technology fund that is attached to the Kroger Community Reward Program. These funds are raised when parishioners and school families link their card to Guardian Angels. Any funds raised are earmarked for the Technology Fund. PTA recently approved the use of $41,000 from this technology fund to update the access points throughout the school to increase the speed of our systems and to purchase 8 CleverTouch Screens. Thank you to all of our school families and parishioners for supporting the PTA Technology Fund by linking your Kroger Reward card to GA. If you would like to link your card, you can register your rewards card online and select Guardian Angels as your beneficiary. You can search for GA or use our NPO number, 80200. The amount Guardian Angels receives depends on the points our supporters rack up while grocery shopping. Enrolling does NOT impact the points you use to redeem for discounts at the pump. Thank you for supporting our technology program. The Guardian Angels PTA partners with St. Joseph Consolidated School for the 365 Lotto sale and it is one of the PTA’s largest fundraisers . Winners are sent a check directly to their homes and winning names will be posted in the Sunday bulletin. Every penny raised from the 365 Lotto will go directly to a PTA sponsored professional development fund for our teachers so they can continue to grow in their practice as educators. Tickets can be purchased in the rectory or school offices, or after Masses next weekend (December 8/9) . If you have any questions, please contact Melissa Clissold . Thank you for your support of the Guardian Angels PTA and the 365 Lotto! The Guardian Angels PTA is collecting Box Tops from various consumer products. GA students can submit Box Tops to their homeroom teachers and all parishioners can drop off Box Tops in the special collection envelope located on the bulletin board in the Church Gathering Space. The Box Tops are picked up at the following dates: January 25, February 25, March 22, and May 19.